Paper Made Bakery: Hello geek! Happy Friday! 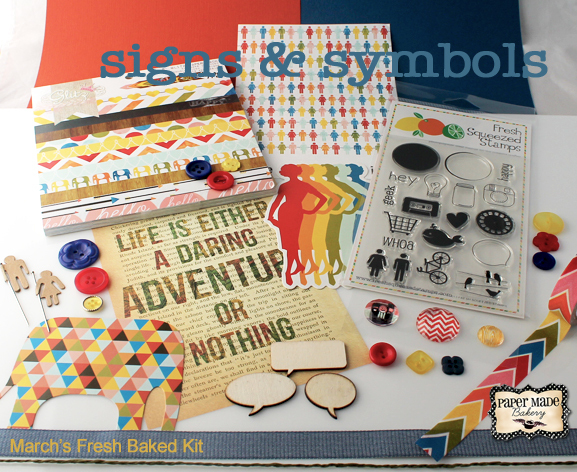 Glenda here and it's time for my card with the amazing March Kit, Signs & Symbols! I love, love, love it! 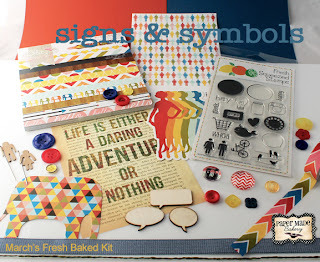 Full of fun images, embellishment and bright colours! I wasn't able to play along on Monday due to a conspiracy between the US and Canadian postal services. I loved all the creations from the team, didn't you? Anyway, I am here today with a quick and cute little card. I thought the hello paper looked like waves so thought the whale would work perfectly. I have a friend who is also an ocean science geek just like me so that's why I decided on the 'geek' sentiment. I'll definitely be sending this to her. Hope you like it! If you love this kit as much as I do, check out all the info here. If you want to subscribe to the kit, that info is here. Remember you can always find out what's going on with Paper Made Bakery on Twitter and Facebook. There is a Pinterest gallery too! Hope you have a fabulous Friday and a wonderful weekend. This is sooooooooooooo cute! LOVING that little whale!! 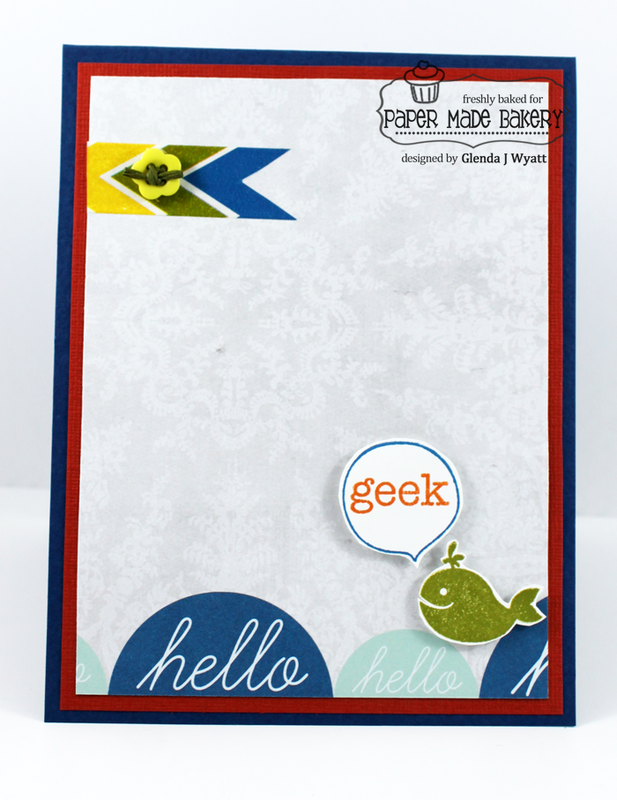 Oh Glenda, I love your stamping and stamps combo sentiments are awesome!!!! Funny too...what a cute little fishy!!!! I like the green. SO cute!! I really like the look. This is so geeky cute! Love it! Eeek, that is so freakin' cute, Glenda! LOVE the whale saying hi to the geek. Heehee! This is so cute, Glenda!! I love the pp as waves and the sentiment is hilarious. Awesome card! Your card is adorable and I LOVE that kit!!! Aw, this is so cute & fun, Glenda!